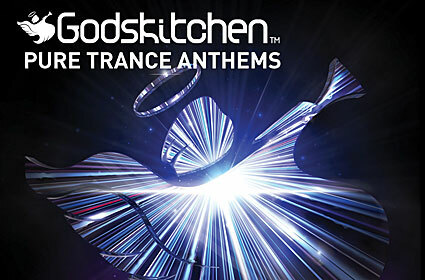 World famous clubbing brand Godskitchen returns with the new compilation Pure Trance Anthems. 57 tracks have been spread across 3 CDs including some of the biggest tunes of 2009, future anthems, and remixed classics. CD1 features tracks by Robbie Rivera, 4 Strings, Paul van Dyk, and Tiesto. CD2 continues with tunes by Wippenberg, Sebastian Ingrosso, and Marco V.
CD3 entertains with cuts from Cosmic Gate, Above & Beyond, Chicane, and Bobina. Pure Trance Anthems takes in the biggest and best from electro to progressive to uplifting trance - enough to satisfy club kids everywhere.